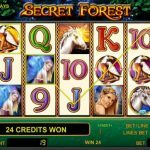 The classic Secret Forest slot from Novomatic brings back the memories of the vintage slot machines, and now pays Bitcoin prizes and bonuses. We all grew up believing that somewhere out there, there is this realm where our dreams collide with reality. Not until today, that belief we had about this extraordinary kingdom was realized and is now within our reach. 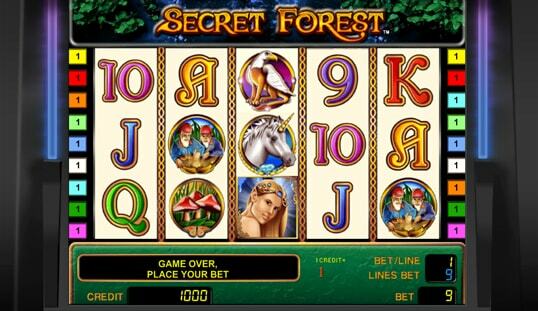 Let us now ready our travelling boots as we take on the journey to the fantasy world in Secret Forest slot by Novomatic. 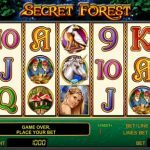 Secret Forest slot is an online game produced by Austrian game provider and is based off the magnificent theme of fairy tales. However, compared to newer online slots today, this game projects simple visuals but is not left out by the others. With their classic graphics and interface, it helped boosts its playability. Together with the classic graphics, this game comes with beautifully mastered sound effects that greatly enhance the game’s fairy tale ambiance. 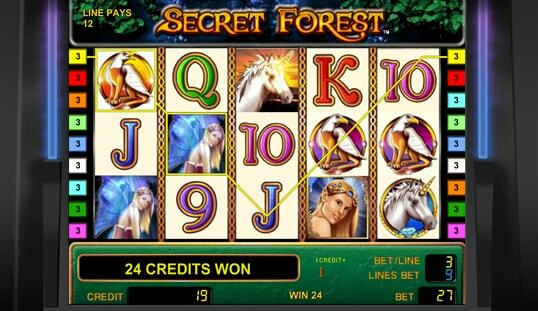 Though this is an old-school type of slot, this game takes its theme seriously with thoroughly executing picturesque graphics that can satisfy our fairy tale imagination. As if this game cannot be more classic, its sound effects bring players back to the early days. 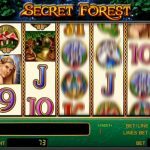 The Secret Forest Bitcoin slot is one simple game that gives players a high chance of winning the jackpot. Once the reels start rolling, all you have to do is to wait for a winning combination. In this game, winning combinations on any of the nine pay lines are paid from left to right. The game also gives a chance to increase your payoff in a variety of ways. It can be done by playing in the gambling feature, hitting a winning combination with the symbols of fairies, castles, princesses, unicorns, and elves. The gambling feature’s instructions are simple: you just have to get the color of the face-down card presented correctly and the amount of your winnings gets doubled. To step up your game, there are important symbols to keep in mind. In this case, the princess symbols are equivalent to wilds. Just like any other slot games, wilds can transform itself to any symbol to help you win. Having connected this wild to any combination will grant you a doubled payoff. Moreover, free spins are also very simple in this fantasy game. The game includes a live tree symbol that is equivalent to the scatter symbol. Land three, four, or five live trees and it will grant you 15 free spins. If you are into the fantasy and medieval genre, then this game is for you. 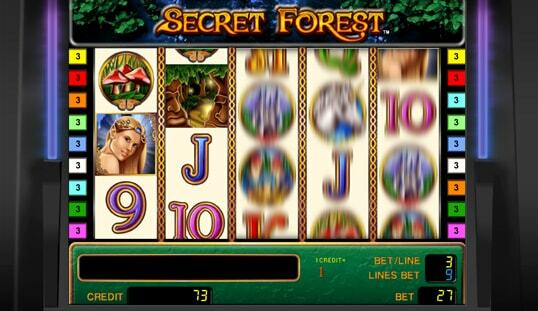 You can even play the Secret Forest slot with Bitcoin. Novomatic did an excellent job in producing this game, which is available on FortuneJack, Vegas Casino, and BTC Casino.